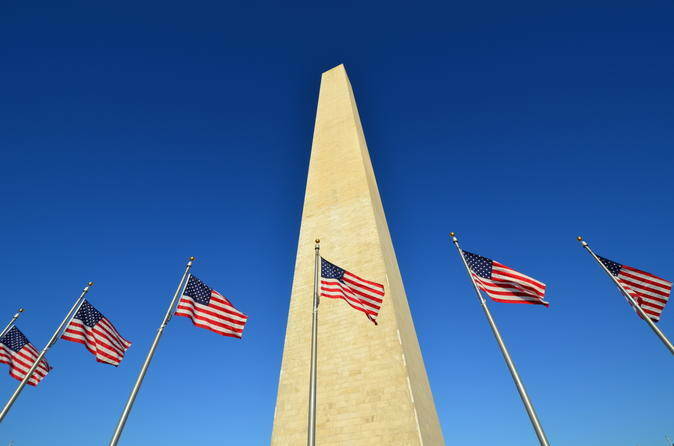 Your guide will then take you on a comfortable 2-hour tour of Washington DC by 15-person van or 25-person minibus with large windows, depending on the size of the group.See DC’s most iconic landmarks including the US Capitol Building, the White House, the Library of Congress, the Washington Monument and the Supreme Court. You’ll also catch views of famous memorials including the Lincoln Memorial, the Franklin Delano Roosevelt Memorial, the Marine Corps War Memorial (Iwo Jima Memorial) and the Martin Luther King, Jr Memorial.Opt for a late evening tour of the city and admire the glowing lights of the monuments and memorials.Throughout your ride, your expert guide will offer interesting and informative commentary about the sights you see, including their historical significance, and will answer any questions you have. Your tour ends at the original departure location.